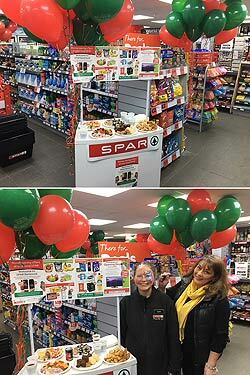 CJ Lang and Son Limited | General | SPAR OPENS ITS DOORS IN BANKNOCK! The opening was supported with goody bags for the first 100 customers through the door and a prize draw for people to enter to win some fantastic prizes up for grabs. In addition to this there are some great deals in store to support the launch and there was even a face painter on the day to keep kids and adults alike entertained!